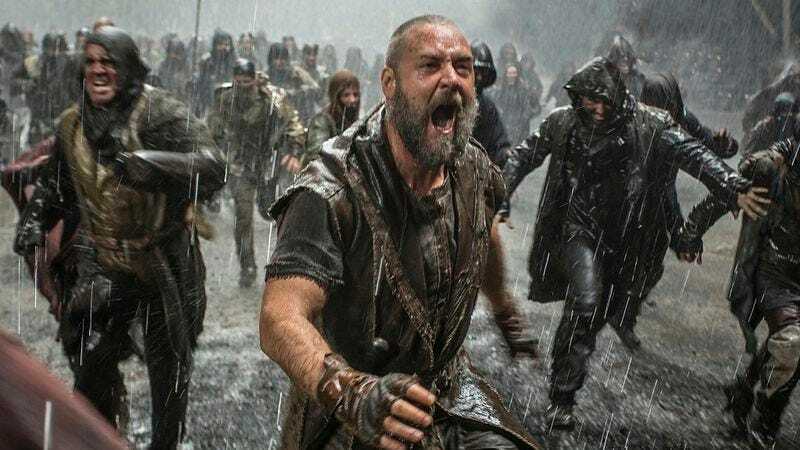 Darren Aronofsky’s Noah—about the biblical flood that wiped the world clean of all life, save whatever Russell Crowe could cram onto his boat—opened in the United States on March 28. American patrons were able to watch the movie secure in the knowledge that any flooding would happen entirely onscreen. However, the British were not so lucky. Noah opened at the Vue Cinema in Exeter, England on April 4, but moviegoers who showed up for the 12:15 p.m. screening were told they couldn’t see the movie because the theater had flooded. A spokesperson for the Vue said the flood was caused by a broken ice machine—although they offered no comment on whether God may have caused that ice machine to break, in an attempt to warn people of the end of days. Those patrons who didn’t rush home to start work on their own arks were able to see the movie at 2 p.m..